Chiara Evans, mum of 4, babywearing educator and fan of cake. Growing up I didn’t have an overly demonstrative family. Kisses and cuddles to relatives felt awkward. Babies were put down and between siblings, it was mostly war not love. Fast forward to my gap year and I found myself living in a community where everyone was hugging all the time, it was the greeting, the goodbye and the sorry. I was waaaay out of my comfort zone with all the huggers. Ha! While I was there I met the man who is now my husband. One of the things that I instantly fell for were his bear hugs. They were, and still are, something pretty special. The feeling of being completely enveloped by someone bigger and stronger. Always leaves me feeling a little bit calmer. We got married and, a few months later, when expecting our first baby we found ourselves doing the dutiful thing and attending antenatal classes. 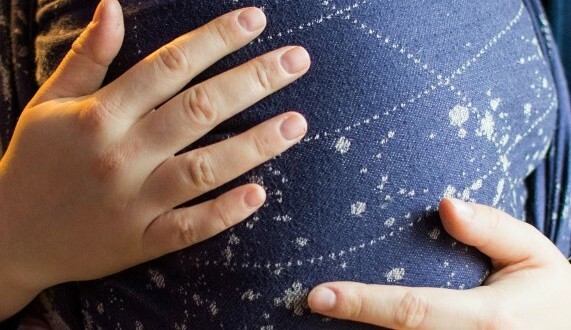 They did not prepare us at all for birth or parenthood, but one thing I do remember the teacher telling us was about the “light touch massage” a partner could perform during labour. It was the first time someone had actually explained that touch was a “technique”, that it had documented and proven benefits. When our eldest was born any moment she cried I have as on edge, filled with adrenaline, ready for action. She would settle at the breast, or on me or my husband. She craved closeness, the comfort of the people she loved the most. I was overwhelmed to begin with. That it was me, my physical being that was what she needed. The weight of responsibility near crushed me. I began carrying her in a sling when she wasn’t very old at all. She wouldn’t tolerate being in a pram and really hated the car seat, my stress levels were at an all-time high listening to her little body screaming such loud screams. As soon as she was settled in the sling, comforted by our closeness, I could breathe calmly again. I was hooked. It gave me a kind of motherhood power, a toolkit, a way of handling her need to be close to me. That my physiology responded to her cries and her calm meant I became more in tune with the power of our closeness, the being held, the physical touch. This early experience with my eldest entirely transformed my parenting. Sounds dramatic I know, but it’s true. My mindset changed, from feeling like my primary goal was to achieve complete separation, to embracing the closeness. It took me a long time to realise I was creating foundations of love, not a rod for my back. 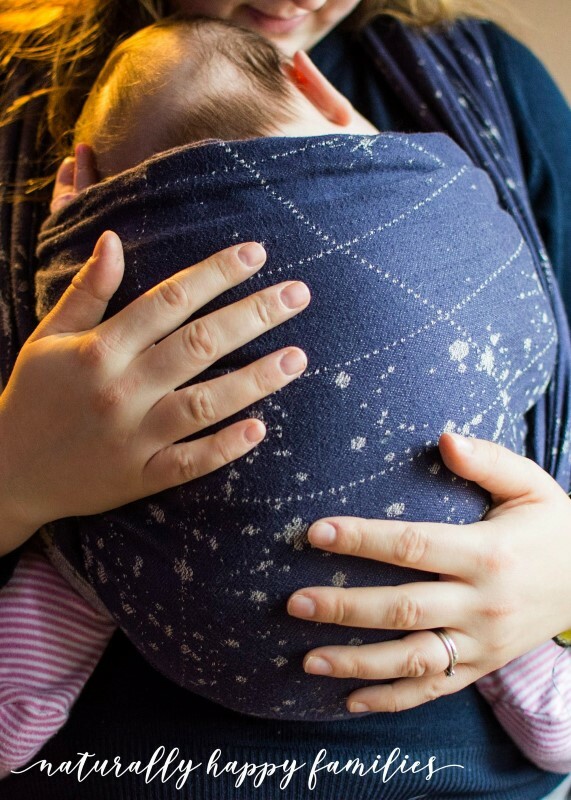 It eventually opened up the chance to begin teaching “babywearing”, running a sling library and having the opportunity to see other parents and babies experience comfortable, relaxed and supported closeness, seeing shoulders of stressed mums relax. See babies snoozing peacefully, hearing mums tell me that this is the longest their baby has ever slept. These things are all testament to me of the superpower we all have. Closeness, the comfort of touch. Heart pressed against heart, the warmth and security of another. Blood pressure reducing, stress hormones dissipating, oxytocin flowing. To be held close to someone or by someone you love so much is truly a superpower we all have.